Love To Thrift Shop? 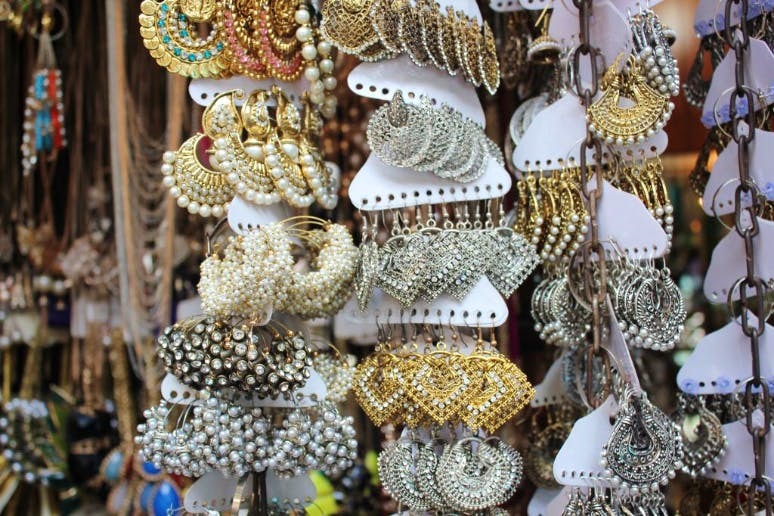 Then This Street Market In Colaba Is What You Need To Bookmark! From reasonable handicrafts to quirky shoes, bags, clothes and junk jewelry. This place truly is a paradise for college students and also for those who are always on a budget. Colaba can never disappoint anyone when it comes to shopping. It is a long street market that almost takes a day's time to cover, so make sure you have time when you come here. It has all the latest collection keeping in mind the trends that are in fashion, and has something for everyone. You can also find fancy high-end stores at the causeway for shoes and clothes along with lip-smacking food joints to satiate those hunger pangs. But what make the causeway truly awesome are a plethora of earrings, handicrafts, Mumbai souvenirs, quirky bags, and mostly all things millennial. The other things that are pretty common (in case you've ever taken a stroll there) are the antique travel compasses and pocket-watches. We stumbled upon one that has Robert Frost's 'The Road Not Taken' engraved inside. (We obviously bought it) Street shopping is no shame in Mumbai as it gives us the liberty to mix and match, while keep changing or upgrading our closets more often than not without having to burn much of a hole in our pockets. And if you're looking for the best collections, and experience, Colaba Causeway is what you raid, to satiate the shopaholic in you. Carry a lot of water to stay hydrated (scouting shops is quite hectic) and avoid getting your cars as there is a shortage of parking space. Some shopkeepers might not give in to bargaining at first but don't be dissuaded. People who are not so adept at bargaining please take along someone who is better than you.